This 5 day instructor-guided course is intended to introduce and teach DevOps fundamentals of with an emphasis on Desired State Configuration (DSC). DevOps principals are implemented through technologies and tools. In this course you will learn about Desired State Configuration and PowerShell. The goal of the course is it to introduce students to DevOps concepts and specifically how DSC can play a critical role with configuration management. While DSC is a technology that leverages PowerShell, you don’t have to have extensive PowerShell knowledge in order to use it. 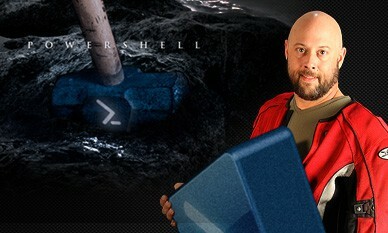 The course will teach you the necessary PowerShell skills in order to be immediately effective with DSC. Jason Helmick is a 25-year IT veteran and author at Pluralsight. He’s an avid supporter of the PowerShell community as board member and CFO/COO of PowerShell.Org and a Windows PowerShell MVP. He is the author of Windows PowerShell:TFM and Learn Windows IIS in a Month of Lunches along with contributing author to PowerShell Deep Dives. Jason focuses on automation and configuration management for DevOps and has co-authored several PowerShell, MS Exchange and IIS related discussions on the Microsoft Virtual Academy. 2. What is the DevOps Paradigm? 4. Getting started with Chef/Puppet, etc. This is supplemental material to be used as needed to fill in any gaps in the students’ knowledge. This course is intended for IT Professionals with at least 3-5 years of Windows server administration. While some PowerShell experience is helpful, it is not required. You should have experience installing and configuring a Windows Server, basic networking knowledge and general understanding of IT Operations. The class is designed to be very hands-on with minimal PowerPoint presentations. The emphasis will be on using PowerShell 5.1 in a corporate environment as part of a DevOps practice. Come prepared to be engaged and challenged!